Andrew Ganz April 14, 2017 Comment Now! 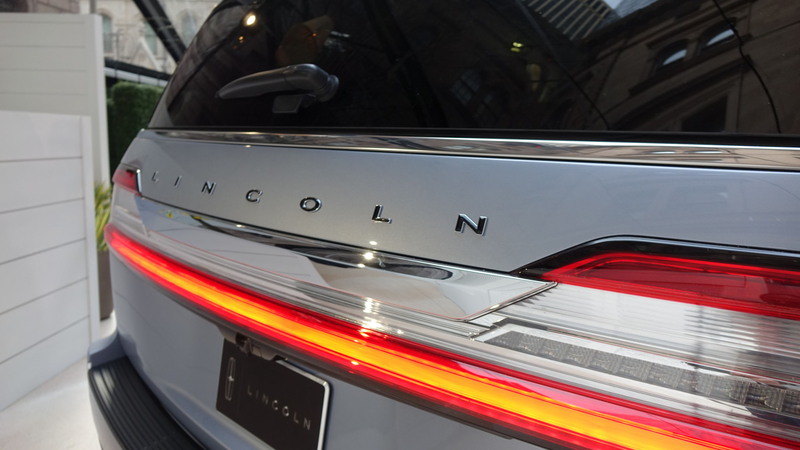 Bling is back with the 2018 Lincoln Navigator. But this go-around—the fourth generation—takes luxury to a much higher level. This latest Navigator adds lots of luxury while shedding 200 pounds. Under its hood sits a 3.5-liter twin-turbo V-6 rated at an estimated 450 horsepower. It remains a truck-based SUV at its core, but it's not just a gussied up version of the Ford Expedition. It has big shoes to fill—and we're not talking about the last Navigator. 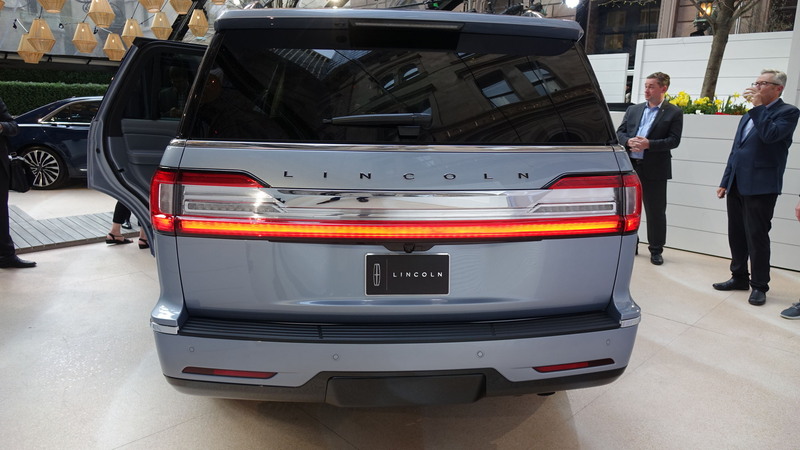 Instead, Lincoln is now playing catch up with the Cadillac Escalade, not to mention the Land Rover Range Rover and the Mercedes-Benz GLS-Class. 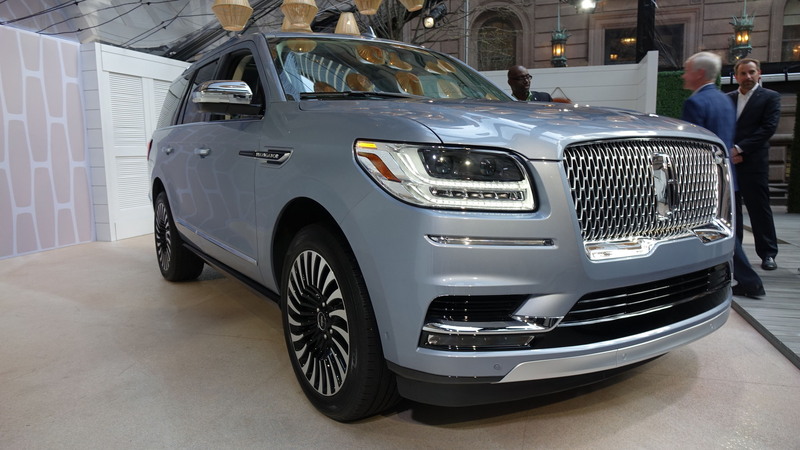 Outside, the Navigator looks kind of like a tall Lincoln Continental from the front with its deeply inset grille. But from the side, it's more of a conventional SUV with a few Range Rover-like cues visible throughout. At the rear, big tail lamps and strips of chrome collide for a look that's not altogether cohesive. For the most part, it's true to the Navigator Concept that debuted at last year's New York show, albeit without the dramatic gullwing doors. Inside, the Navigator makes its biggest strides. It lives up to its name with a look that's almost nautical. 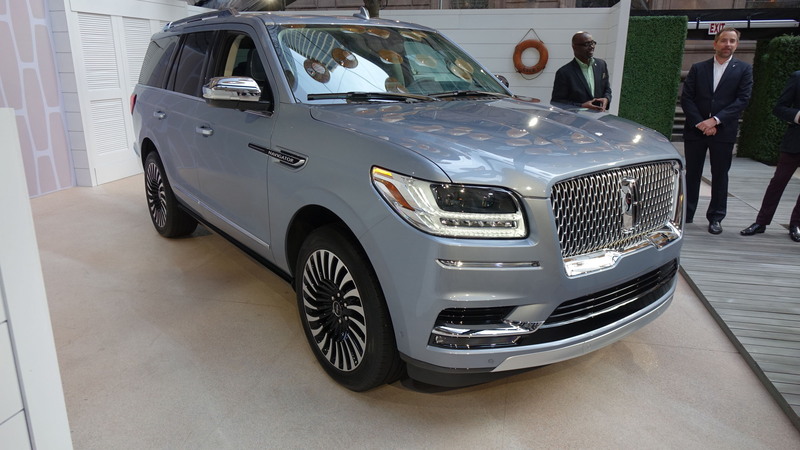 There's acres of leather and wood trim, like before, but the Navigator also ushers in far more technology. Parent company Ford's latest Sync 3 infotainment system is standard. Work your way through the options list and you'll net a user-configurable 12-inch LCD screen in place of conventional gauges. There's plenty of tech every passenger, too. An optional rear-seat entertainment system puts beautiful high-resolution screens in front of the second row's occupants. And those in the surprisingly spacious third row can use the Navigator's built-in WiFi hotspot to stream the same video directly to their hand-held devices. As a road trip machine, the Navigator looks like it will excel. There's substantial sound deadening and laminated glass throughout, but it's the stretch-out space that makes it exceptionally comfortable. 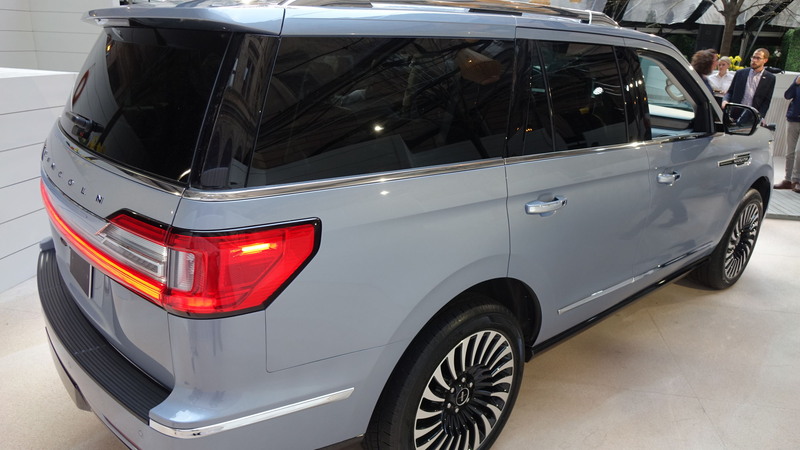 We're ready to hit the road in a 2018 Lincoln Navigator before it goes on sale at the end of this year.